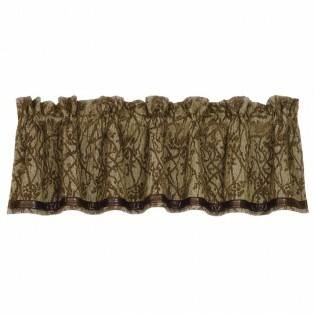 The Highland Lodge Drapery and Valance is a mix of textures and neural color tones accented with faux leather. 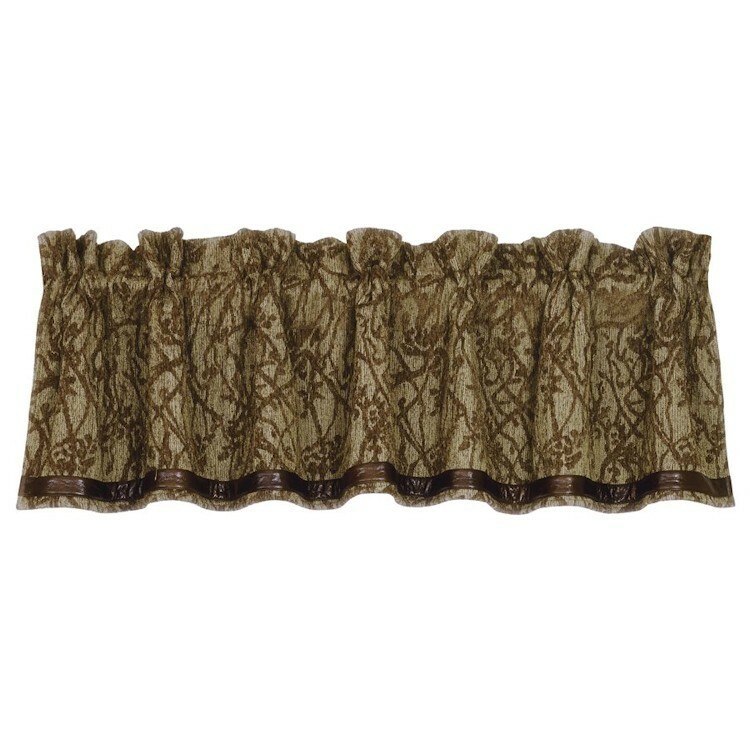 The Highland Lodge Valance is woven chenille with a rustic branch design accented with a faux leather band on the bottom edge. The Highland Lodge Drapery and Valance is a mix of textures and neural color tones accented with faux leather. 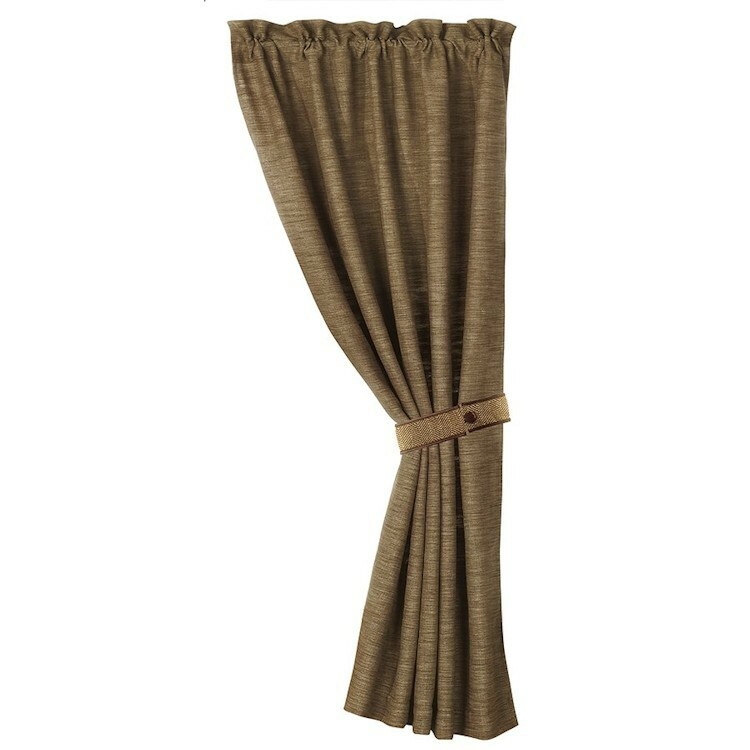 Drapery Panel Size: 1 Panel 48" W x 84"
DRAPERY PANELS ARE SOLD SINGLY PLEASE ORDER 2 IF YOU NEED A PAIR The Highland Lodge Valance is woven chenille with a rustic branch design accented with a faux leather band on the bottom edge.